First Steps for Walking Festival. The first ever Clyde Muirshiel Walking Festival will take place in Scotland’s largest Regional Park on 26-28 May 2018. Click here for the event schedule. The walks on offer have been planned to appeal to all levels of walker, from the leisurely paced level stroll to the more serious hill walk, in both pace and duration. 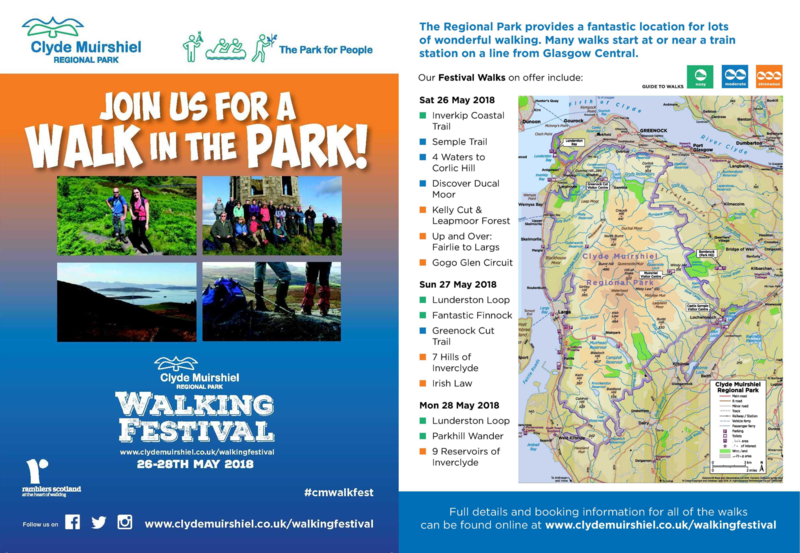 There are at least three guided walks planned for each day, coordinated by Clyde Muirshiel Countryside Rangers with the help and support of local walking groups such as The Ramblers. “We’ve noticed a steady increase in the numbers of people keen to take part in a guided walk. This, coupled with the enthusiasm of local walking groups has inspired us to host Clyde Muirshiel’s first walking festival. Some of the easy walks on offer include ‘Fantastic Finnock’ and ‘Parkhill Wander’ and take about 2 hours. 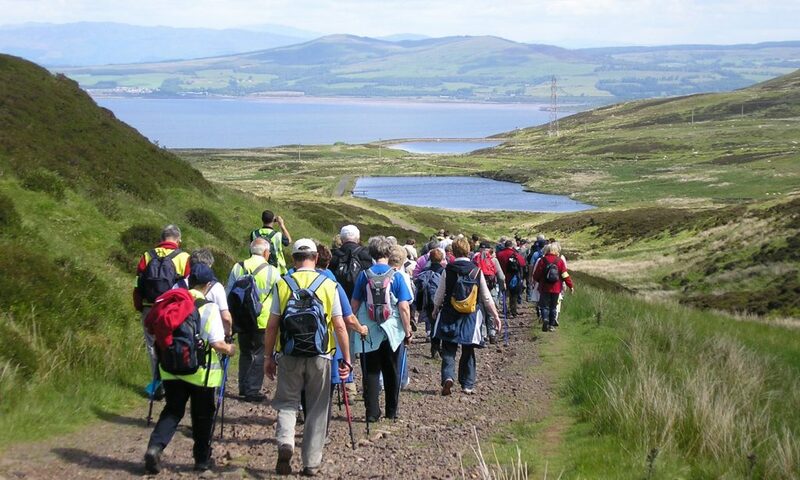 Moderate walks are about 4 hours in length and include ‘The Semple Trail’, ‘The Greenock Cut’ and ‘Discover Ducal Moor’. Strenuous full day walks include ‘Irish Law’ in North Ayrshire, ‘The Kelly Cut & Leapmoor Forest’ and ‘The 7 Hills of Inverclyde’. Full details of the walks on offer can be found on the Regional Park website at www.clydemuirshiel.co.uk/walkingfestival. They all begin from various locations around Clyde Muirshiel Regional Park, many start at or near a train station on the line from Glasgow Central, allowing easy access for visitors and locals alike to use public transport.